Francia drazsé and Dunakavics dragees evoke your childhood memories. 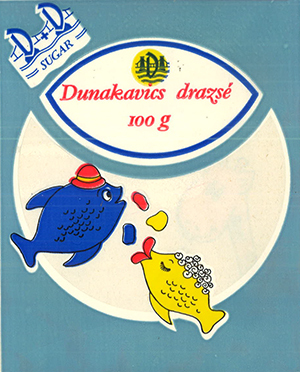 Dunakavics dragee and Francia drazsé production started in Duna Chocolate Factory in 1964. Ever since they have been produced according to the original recipe with the original colour of blue and red packaging. After privatisation of Budapest Chocolate Factory by the German Stollwerk AG at the beginning of ’90’s, dragee plant was moved into the factory’s building in Vágóhíd Street, so the well-known Dunakavics and Francia drazsé have been produced here. In addition to our currently popular products, we introduced 3 new colorful dragees to the market in September of 2016. The fruity-yogurt, the caffé latte-flavoured and the caramel flavoured dragees are part of our portfolio ever since.